What do we remember most? Films are both time capsules, preserving the original period of their release, and a collection of thoughts and ideas that extend from the artists and craftsmen that lived in its time. What is suggested over and over again by the films on this list is that the exploration of memory is, in and of itself, a kind of spiritual quest, a quest for transcendence or truth. Produced in 2015 by the Arts & Faith online community, this list spans 71 years of cinema, from 1941’s Citizen Kane and How Green Was My Valley to 2012’s The Act of Killing. The Top 25 Films on Memory is sponsored by Image, a literary and arts quarterly founded in 1989 to demonstrate the vitality and diversity of well-made art and writing that engage seriously with the historic faiths of the West in our time. Now one of the leading literary magazines published in the English language, it is read all over the world—and it forms the nexus of a warm and lively community. Explore Image here. For more thoughts about this list by Ryan Holt, click here. There are three sides to every story, the saying goes: yours, mine and the truth. 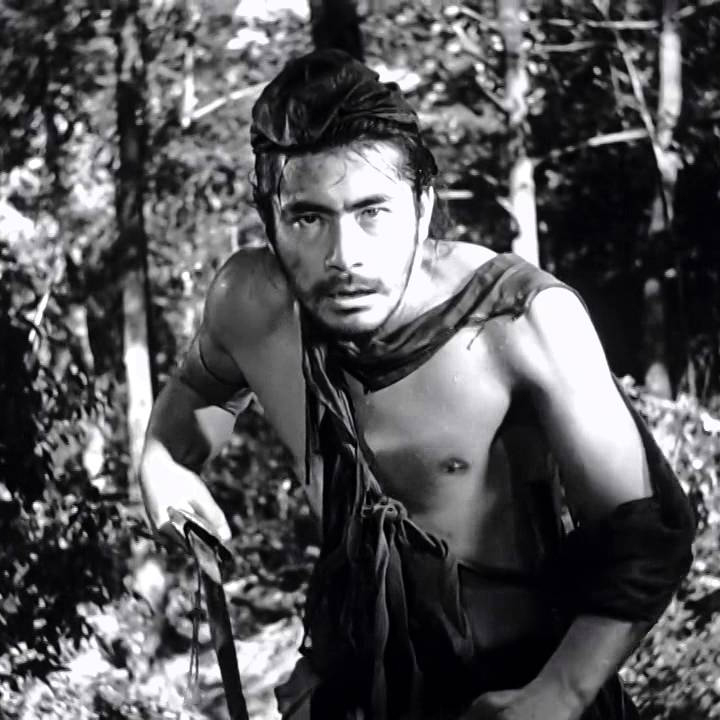 But in Akira Kurosawa's first international hit, there are at least four sides – that of a bandit, the woman he may have raped, the husband he may have murdered, and a woodcutter who witnessed everything – and all of them have reasons to obscure or lie about what really happened. The conflicting testimonies in Rashômon underscore how subjective and even self-serving memory can be, but this wasn’t Kurosawa’s last word on the subject; consider his follow-up Ikiru (1952), which culminates in a series of testimonies that add up to a collective memory that is greater than the sum of its parts. Haunted by memories of World War II, specifically the Hiroshima bombings, a French actress (Emmanuelle Riva) and a Japanese architect (Eiji Okada) also dwell upon the memories of their now ended affair. Director Alain Resnais repeatedly cuts to the same scenes, ingrained in both their memories, but their very different perspectives lead to disagreements as their memories shape the way they interact and view the world. The tension continually and gradually crescendos until the quietly haunting finale, when they both confront the one memory at the heart of their troubles. 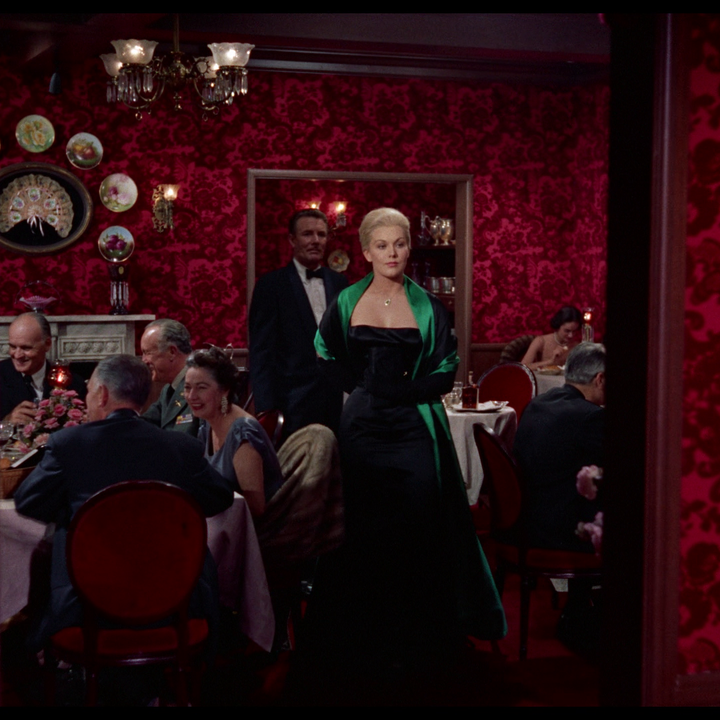 Alfred Hitchcock’s Vertigo remains one of the great films about memory’s dangerous allure. Its spiral-shaped narrative concerns detective Scottie Ferguson, who, haunted by a series of failures, makes an idol of memory and becomes imprisoned by the past. His dark obsession gives birth to one of cinema’s most unsettling love stories: a love affair between a man and the image of the dead woman he is determined to recreate. 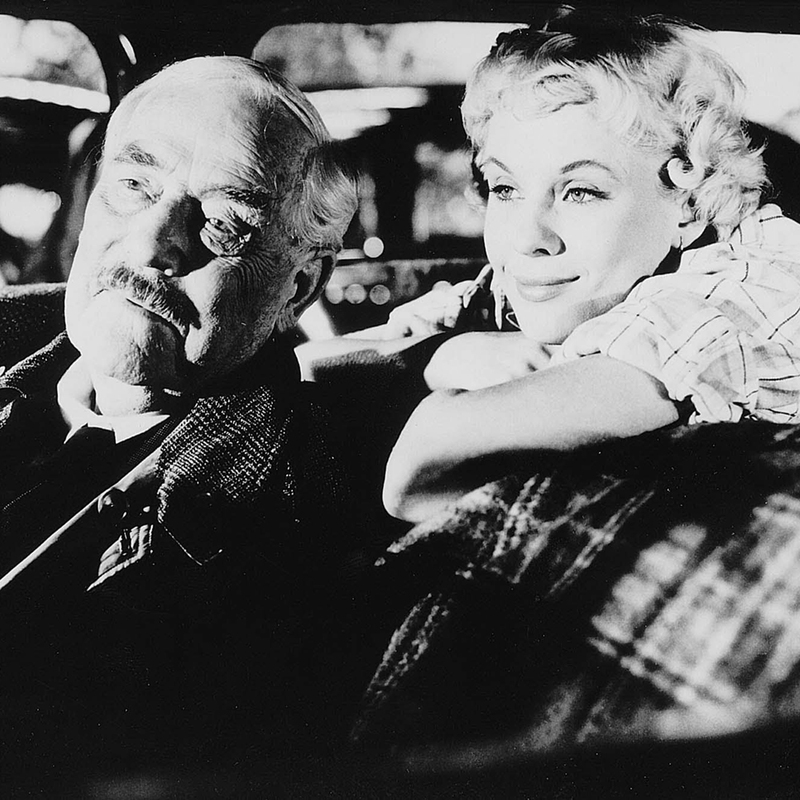 Ingmar Bergman’s Wild Strawberries mixes intimate drama with expressionistic dream sequences, a road trip format with a trip down memory lane. As aging Professor Isak Borg (Victor Sjöström) travels to be awarded an honor for his life's work, he is confronted by both travelers and memories of his life. If we must live in the present, our reaction to it takes shape from the memories and dreams we have acquired. Memories can haunt and hurt, but they can also bring fulfillment, hope and peace. 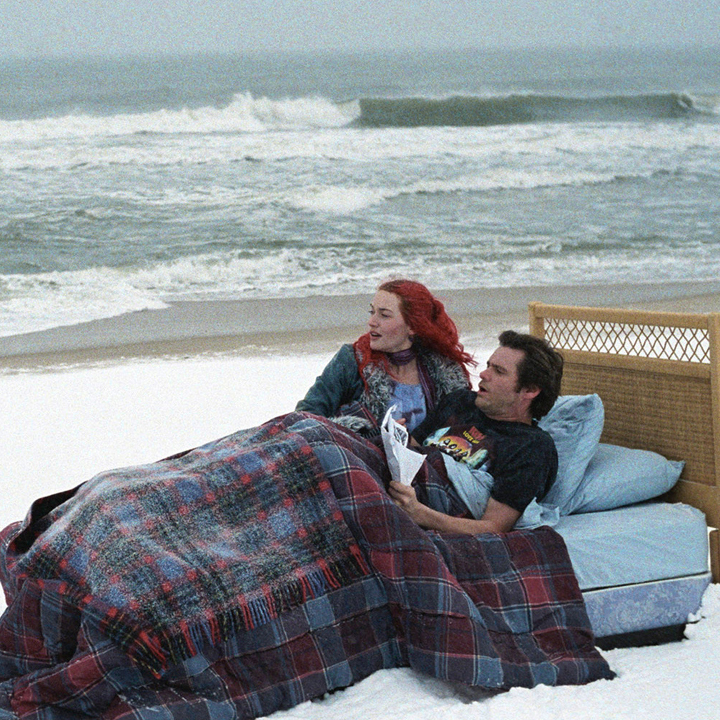 Taking its title from an Alexander Pope poem, Eternal Sunshine of the Spotless Mind combines the DIY exuberance of director Michel Gondry and the existential hyperactivity of screenwriter Charlie Kaufman in a film that is, technically, about brain damage. Following a painful breakup with his girlfriend Clementine (Kate Winslet), Joel Barish (Jim Carrey) decides to erase all his memories of her, rather than deal with the mingled nostalgia and regret she conjures. As the technicians of the memory-effacing Lacuna, Inc. begin their work, however, Joel realizes that deleting Clem would leave him with a stunted soul, and embarks on a desperate chase through his personal mnemonic funhouse to preserve their past, and his humanity. 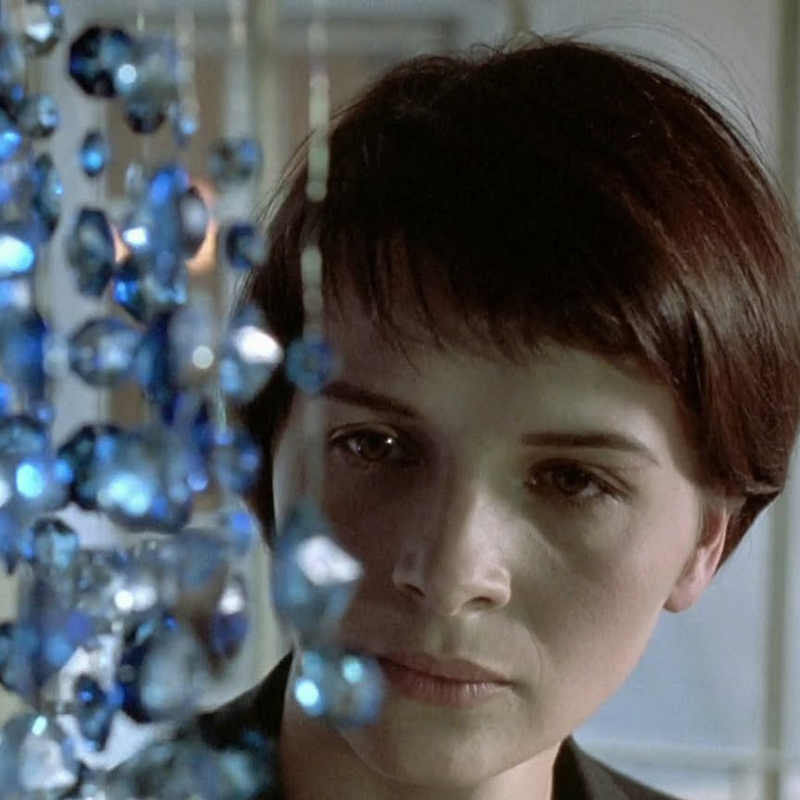 The first film in Kieślowski’s “Colors Trilogy” centers around a French woman Julie (Juliette Binoche in her defining role), who has lost her husband and son in a car accident. Shattered and numb, Julie quietly rages in post-traumatic stress via total seclusion, cutting herself off from anyone from her past—anyone with ties to her real life, and the sorrow that now lies within. Secrets, and emotional bonds, and music itself will continue to haunt Julie—new life or not—and will force her to come to terms with her own sorrow, and others who carry it too. The film’s score, “composed” by a fictional character in the story, is one that will be remembered years after the film has been viewed. 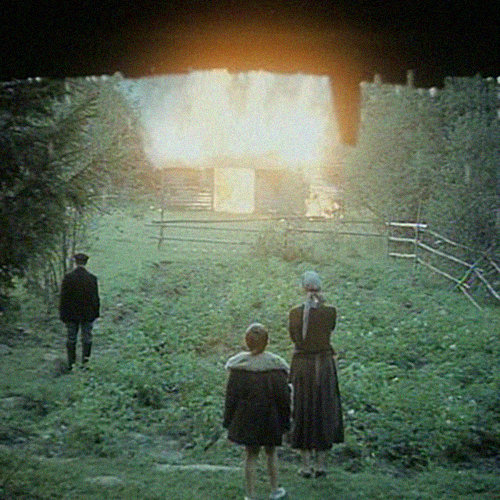 A tidal wave of wind across a meadow, a barn going up in a blaze, a shower running dry, a supernatural event on a kitchen table, a man on a chair in the sky — Zerkalo (The Mirror) is a rush of memories and dreams etched like cave paintings in the mind of Andrei Tarkovsky. Is it an expression of the religious mystery that has drawn him through his life, a testimony of love for his troubled mother (and how the Beatrice of his religious and romantic quests has resembled her), or a way of illustrating Russian history through a poetry of personal experience? All of the above, and more: It’s a guiding star by which directors as celebrated and as different as Malick, Von Trier, Zvyagintsev, and Nolan have navigated. A spider and her egg... a unicorn running through a forest... C-beams glittering in the dark. 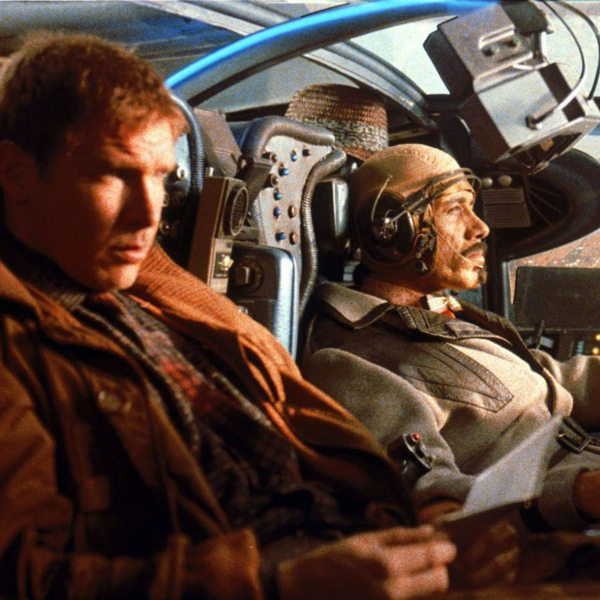 From its opening scene, where a manufactured Replicant betrays himself (itself) because he (it) lacks memories of a mother, Blade Runner explores the futuristic realms of evolving and fabricated memory, in the story of a detective charged with hunting down and “retiring” four Replicants who illegally return to Earth. During his pursuit, he must re-examine his notions of what defines a person, when he finds himself drawn to a fifth, newer breed of product; one for whom memory has dealt a terrible deception. Blade Runner introduces the concept of using artificial memory as a tool for control; questions the trust that can be placed upon memory; and suggests memory is the ultimate legacy, one so important that the hunter becomes custodian to his prey’s most precious remembrances. 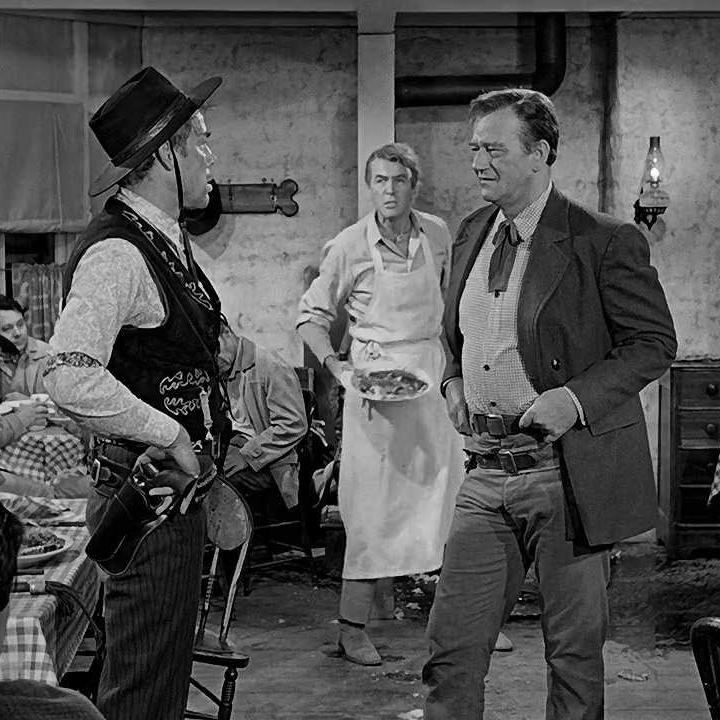 Aging U.S. senator Ranse Stoddard (James Stewart) and his wife (Vera Miles) travel across the country to a frontier town for the funeral of a local rancher (John Wayne), a surprising course of action for a famous politician. Through Ranse’s recollections, John Ford both affirms and unravels the mythic version of the American West the filmmaker helped create. But the film’s famous closing sentiment—that “when the legend becomes fact, print the legend”—extends beyond filmographic metaphor, showing how we mold our memories to tell the stories we feel we need. 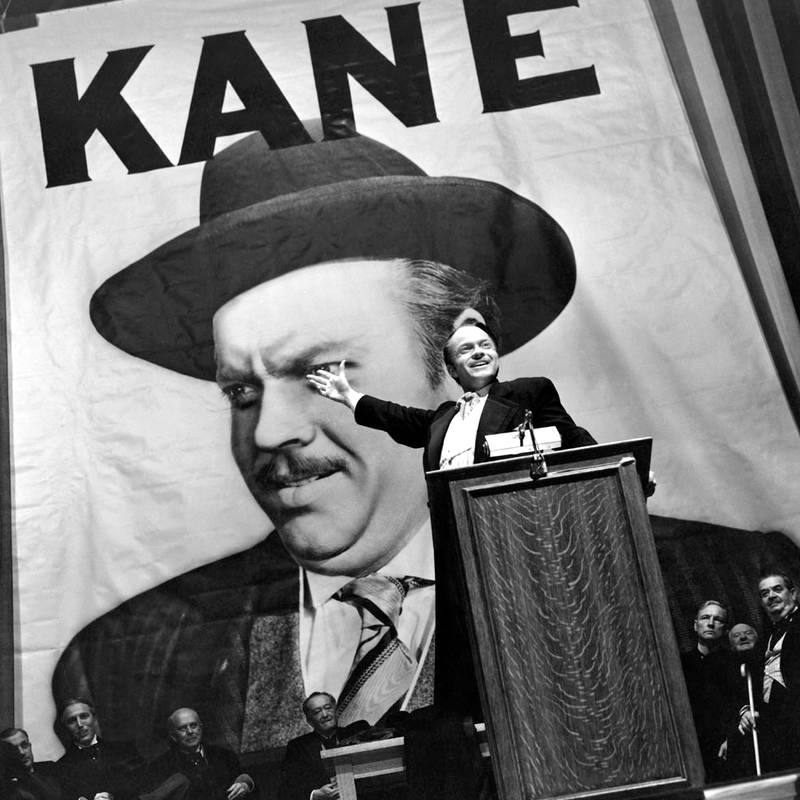 Long considered one of the masterpieces of cinema, Orson Welles’ Citizen Kane also offers a masterclass in the use of the filmic flashback, structuring its entire narrative through memory. 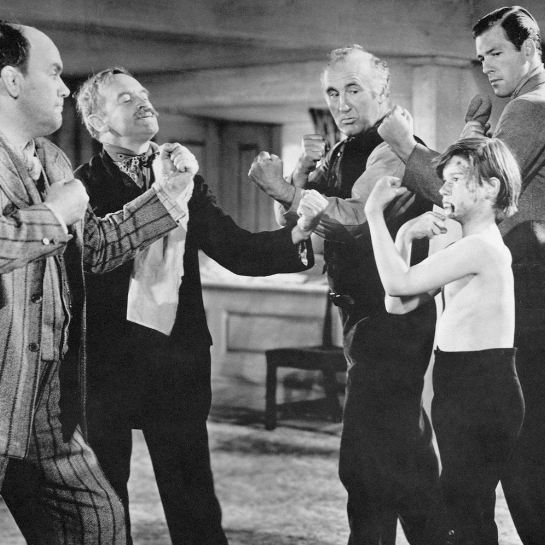 The reporter Thompson’s quest to discover the meaning of Kane’s enigmatic final word, “Rosebud,” leads him and the viewer through the various interviewee’s memories of Kane, foregrounding their subjective and often conflicting experiences of the man. Ultimately Kane asks us to consider our own mortality, the memories of us that will live on, and the extent to which someone can know us through those memories. The memories of How Green Was My Valley are blackened by coal dust; mired in class struggle and death. The voiceover of Huw looking back at his childhood in this small Welsh mining town speaks of a hard life. But under Ford’s direction, sharp beams of life peek through the timbre of Huw’s recollections, the smallest of kindly gestures, and the resilience of this family. Ford's films are frequently sentimental in the best of ways, but How Green Was My Valley is an exercise in one of the grandest occupations in life: remembering those close to us, telling others through the mist of time how they are “loving and beloved forever.” Though the film is rarely mentioned in cinema and memory conversation, it is a key example Ford's idea that we cannot very easily distinguish between the past and the future, as they both travel through the present. 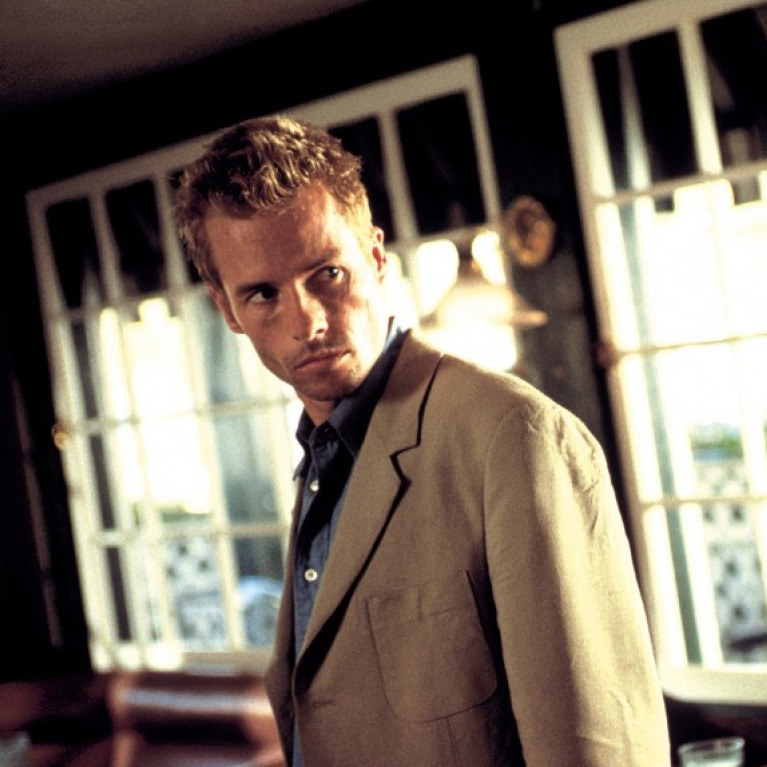 Christopher Nolan’s second feature film is a mind-bending thriller about Leonard’s (Guy Pearce) obsessive quest for vengeance. After a blow to the head leaves him unable to form any new short term memories, Leonard obsesses over the one thing he can remember: someone named Jon G. broke into his home then raped and murdered his wife. As he clings to that memory, Leonard distorts any other memories which challenge his beliefs, and his constant reminding himself of evil soon engulfs him in an unsolvable mystery, even as Nolan deftly reveals the tragic puzzle to the viewer. Wong Kar-wai’s career is perhaps best understood as an extended study of romance as a form of history, a study that reaches its apex in the immense and enigmatic 2046. Structured as the elliptical recollections of writer Chow Mo-wan (who previously appeared in Wong’s Days of Being Wild and In the Mood for Love), 2046 chronicles a series of failed romances and missed opportunities. Fact and fiction inform the other, echoing the ways in which the human mind shapes narratives from discrete events. Stanislaw Lem’s novel Solaris begins in space, with scientist Kris Kelvin arriving on the Solaris space station, while Andrei Tarkovsky’s film adaptation begins on Earth. 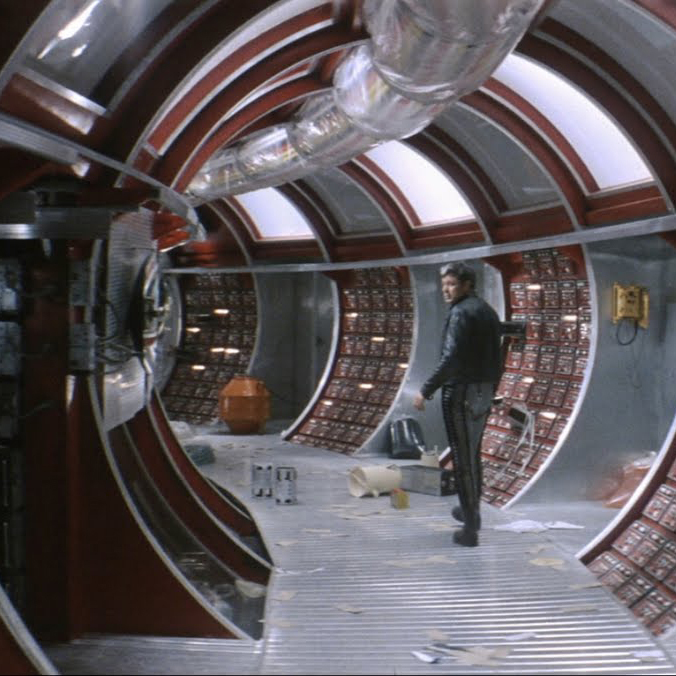 This highlights a key difference between novel and film: Where Lem explored the possibility of a planet-sized intelligent being conjuring creatures from the crew’s memories, such as Kelvin’s late wife, in order to learn from and interact with them, Tarkovsky takes the incarnational metaphor a step further, confronting Kelvin not only with the apparition sewn from memories of his wife, but with the planet and home he left behind. In this light, the film’s closing homage to one of Rembrandt’s most famous paintings perfectly encapsulates Kelvin’s penitential journey. 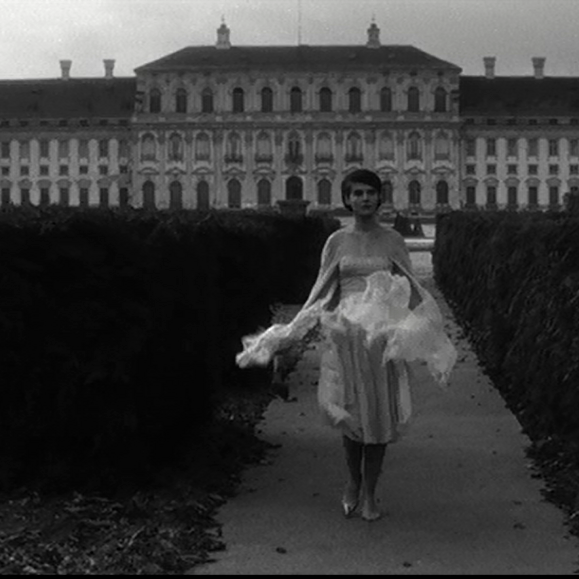 Written by Alain Robbe-Grillet, directed by Alain Resnais, Last Year at Marienbad is a striking, beautiful and surreal dream composed of intricate ornamentation, classical gardens, complex corridors and psychological chess. It asks the viewer some startling questions. Can what we do, think, and feel in the present change our memories that are already past? Can one person merely persuade another to change her memory of what was real? The answers suggested give the viewer the sense that our memories both reveal our own human fragility and form the only basis upon which it is possible to truly know another person. Atom Egoyan’s examination of a small town’s all-consuming grief following a tragic school bus accident, and the motives of attorney Mitchell Stephens, who is determined to direct the community’s rage by affixing blame on those with the deepest pockets. Using his own personal loss as a way of linking himself to the townspeople, Stephens’s probe of the town’s shared tragedy causes many individuals to look into their own pasts, which hide many darker secrets that, brought to light, are as crippling as the accident itself. There are those who say that if a prosecution’s only evidence is eyewitness testimony, then there is always and intrinsically a reasonable doubt. After watching The Thin Blue Line, you may be inclined to agree. Errol Morris’s groundbreaking documentary—about a man who spent a dozen years in prison and was almost executed for a murder he didn't commit—looks at how police officers and other witnesses, including one who says he has the power of “total recall,” couldn’t get their facts straight. More importantly, when the real killer looks back on his life and says he was only hurting himself, it also shows how memory can easily slip from a form of self-knowledge to a form of self-delusion. Kiarostami’s film about a man and a woman ambling through an Italian village together, deep in conversation about love and art, is impossible to summarize. It is not clear who this man and woman are. We puzzle at suggestions that they may have been married in the past, or perhaps they are now. We struggle with Kiarostami through permutations of intimacy and conflict until we realize that the film is, like any intimate relationship, an act of memory. Every viewing of Certified Copy reveals new textures and new angles in basic questions about how we remember those closest to us. But one always leaves the film with the impression that we are all histories of love. 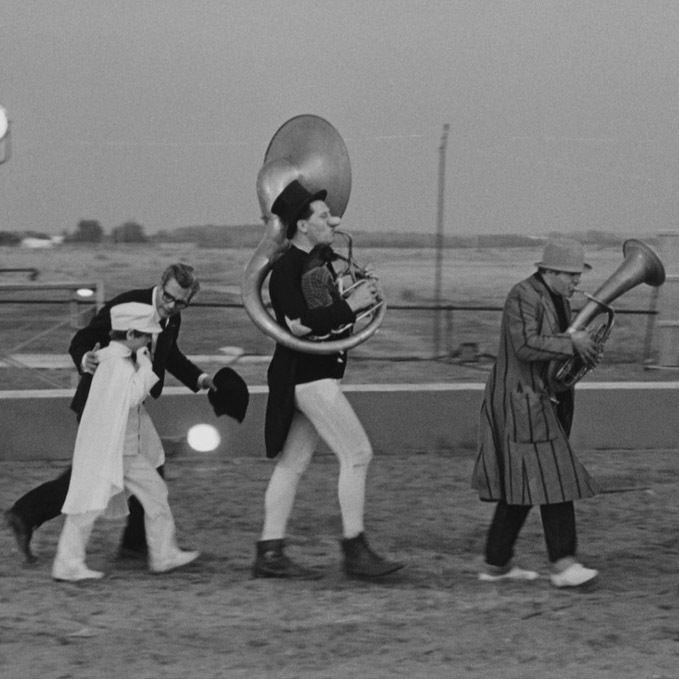 Federico Fellini’s 1963 masterpiece is a self-referential comedy about a famous Italian film director who — caught up in storms of business, extramarital affairs, and an existential crisis — finds himself incapable of finishing his latest film and remaining faithful to his exasperated wife. These failures cause him angst over past failures (which appear in symbolic dreams and feverish flashbacks) and frustration toward powers that have failed him (the church, the film industry). 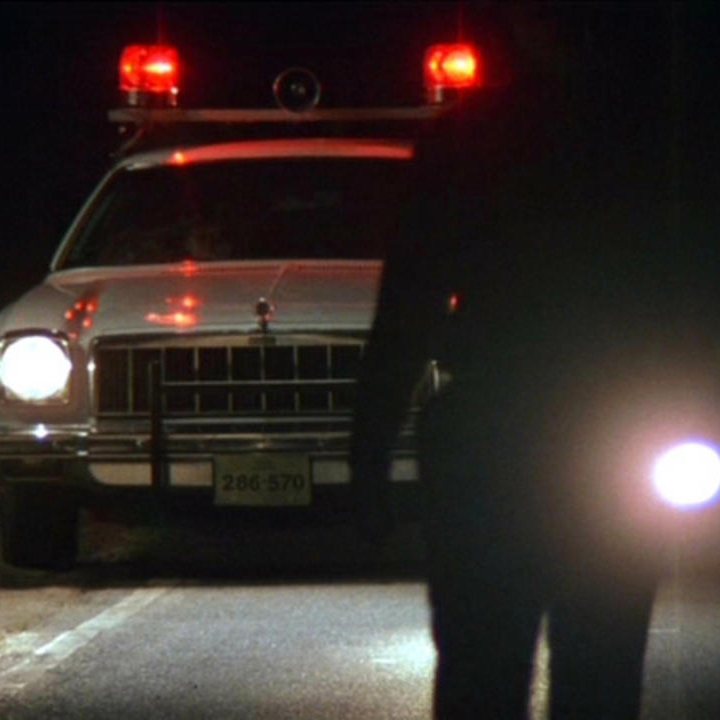 Your first viewing of 8 1/2 is a singular experience of a man’s haunted memories; but then your second reveals the film to be far more than you remembered, inviting you to future viewings and an ever-changing relationship with its mysteries. 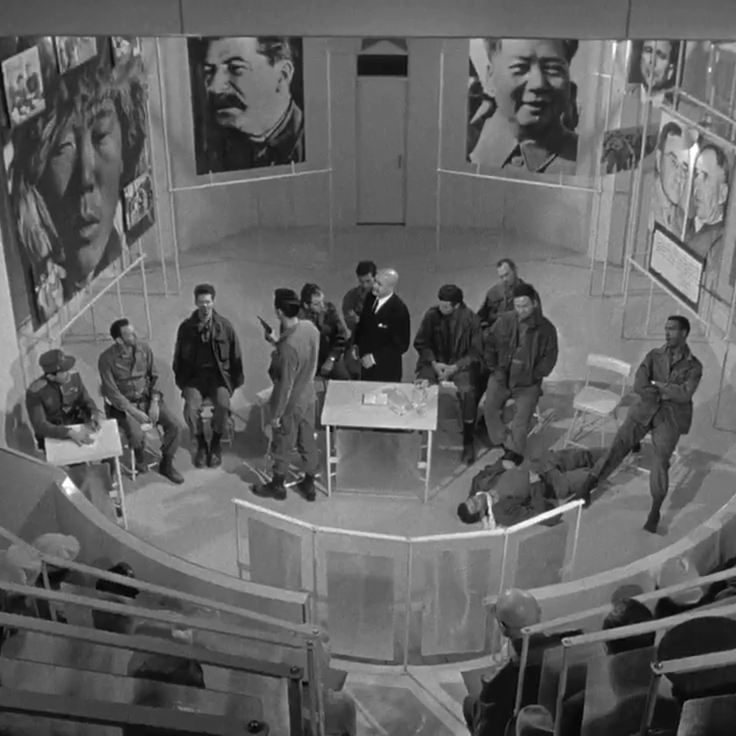 The Manchurian Candidate has been well noted as a top-notch thriller and dark political satire and one of Frank Sinatra's most enduring performances. It also deals in multi-faceted ways with the theme of memory. Never mind the fantastical brainwashing, Laurence Harvey’s Raymond Shaw is a character haunted by memories; a controlling mother, a lost love, false memories, and memories repressed. As the film plays out, it is the interaction with these forms of memory that drives the story to one of the most dramatic conclusions in film history. 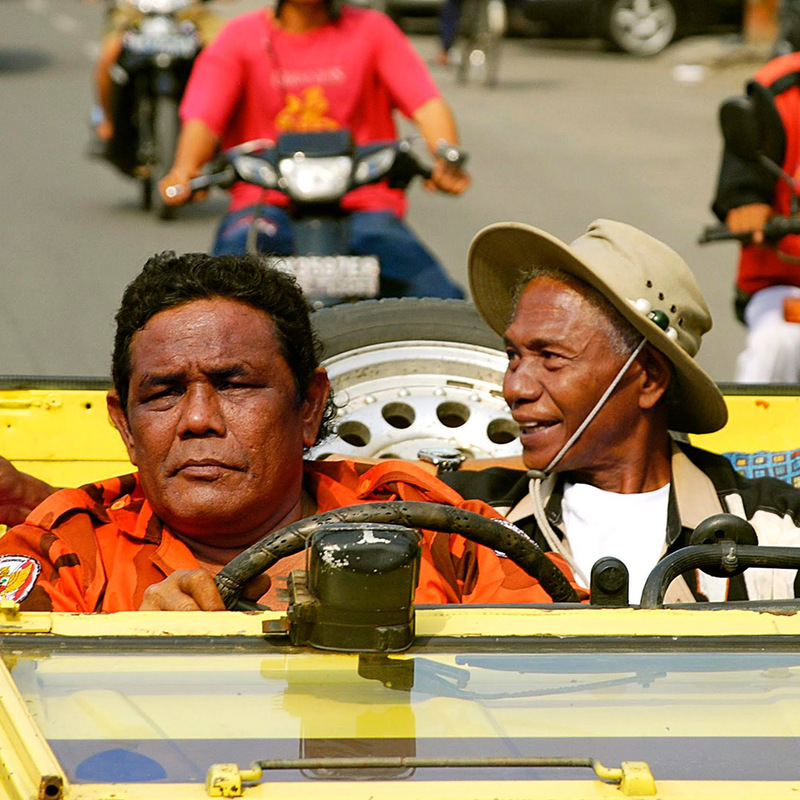 In making this documentary, director Joshua Oppenheimer offered the leaders of the 1965 Indonesian death squads the opportunity to dramatize their memories of their war crimes in any cinematic style they wanted. The killers have proudly lived in power with the memories of their murders for almost half a century, and the film initially just chronicles their brutal history. 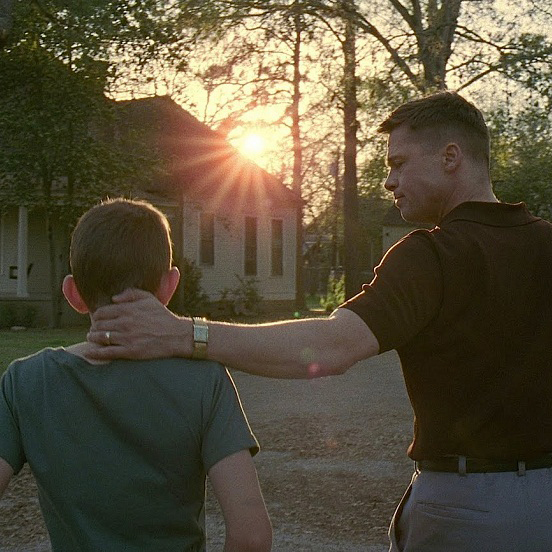 However, the memories become a powerful teaching tool that reminds both the characters and the viewer that some things may be impossible to forget, but it should never be impossible to forgive. Chris Marker’s remarkable short science fiction film, La Jetée, cinematically explores the way that we inhabit time and how memories structures us as individuals. Marked by the memory of a woman he saw in his childhood, the unnamed protagonist’s vivid memory images facilitate his journey back through time from a post-apocalyptic future and are key to the film’s startling, elliptical ending. 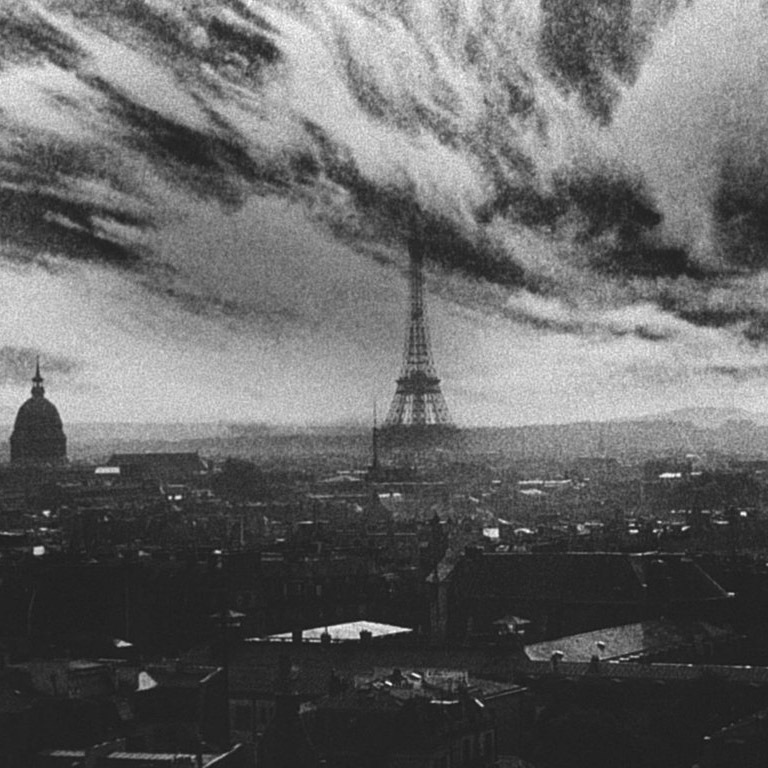 La Jetée’s bare bones narrative and construction out of (almost entirely) still frames highlights the complexity and paradoxes of cinematic perception, reminding us that like memory, cinema frames our relationship to time, marking the moments that structure our lives. 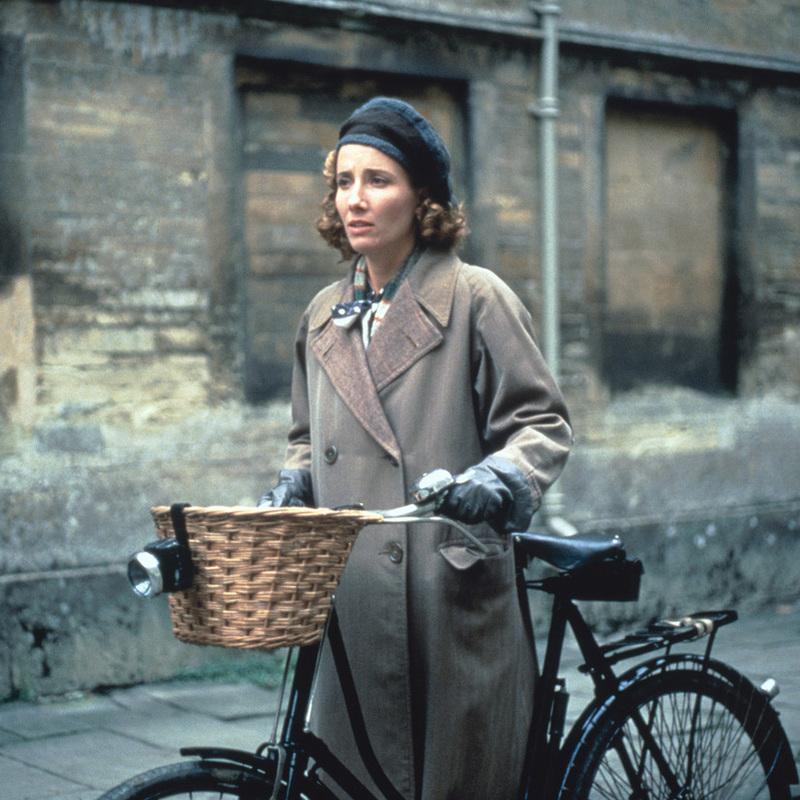 Adapted from Kazuo Ishiguro’s third novel, James Ivory’s film explores a lost world where “order and tradition” still prevail. Sometimes it is difficult for us to remember what some of the old values – position, formality, dignity, temperance, decorum or loyalty – meant to those who lived in our past. Yet, as we follow the story of Mr. Stevens and Miss Kenton (both Anthony Hopkins and Emma Thompson received Academy Award nominations for completely inhabiting these roles), we are also given a sense of the ways in which our history is made by missed opportunities or might-have-beens. Rarely does a film, besides showing how utterly precious our memories can be to us, also make the effort to explore how even memories of our worst failures can still possess great value. The Remains of the Day does both these things with reverence. Stay in the know on the best of art and religion. 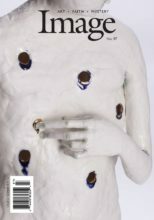 ImageUpdate is a free weekly e-newsletter with reviews of books, albums, artists, gallery openings, and more.